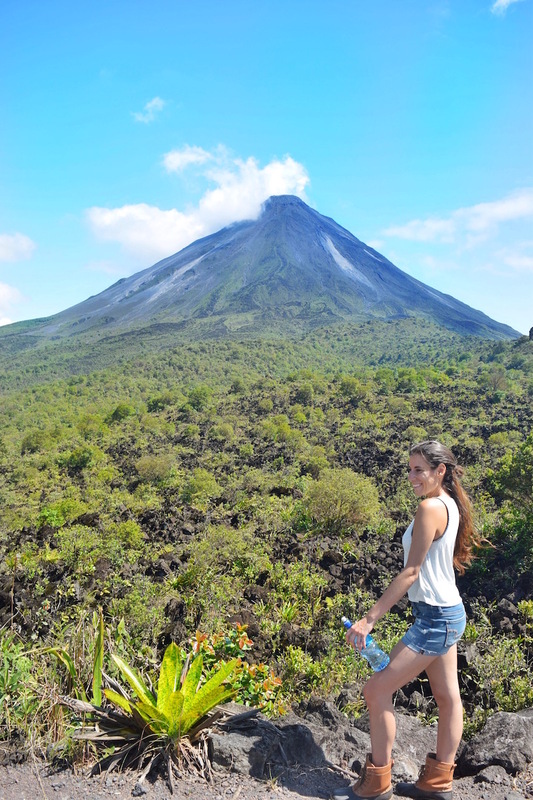 One of the top things to do in Costa Rica, and La Fortuna specifically, is visit the Arenal Volcano. This looming volcano, that towers over the town of La Fortuna, was dormant for many years until 1968 when it erupted violently and killed around 70 people. From 1968 to 2010 it erupted on a regular basis, but never again with the force of the 1968 eruption. From 2010 onward it has remained dormant. 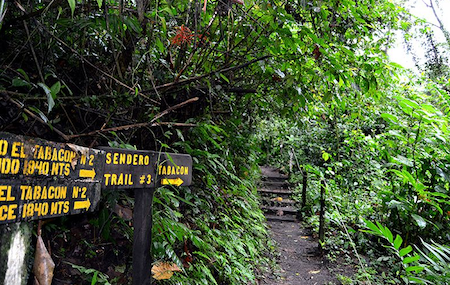 There are tons of different parks around the Arenal Volcano with many different trails. 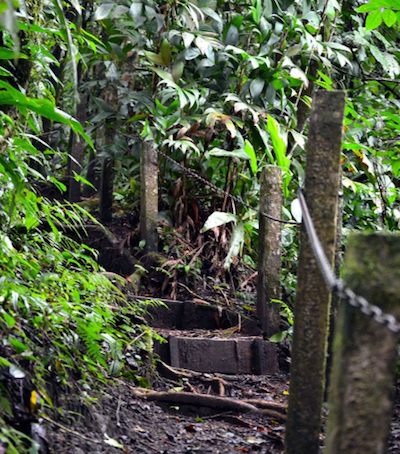 (More hiking trails around the volcano here) In my opinion the 1968 trail is the best trail around the Arenal Volcano. 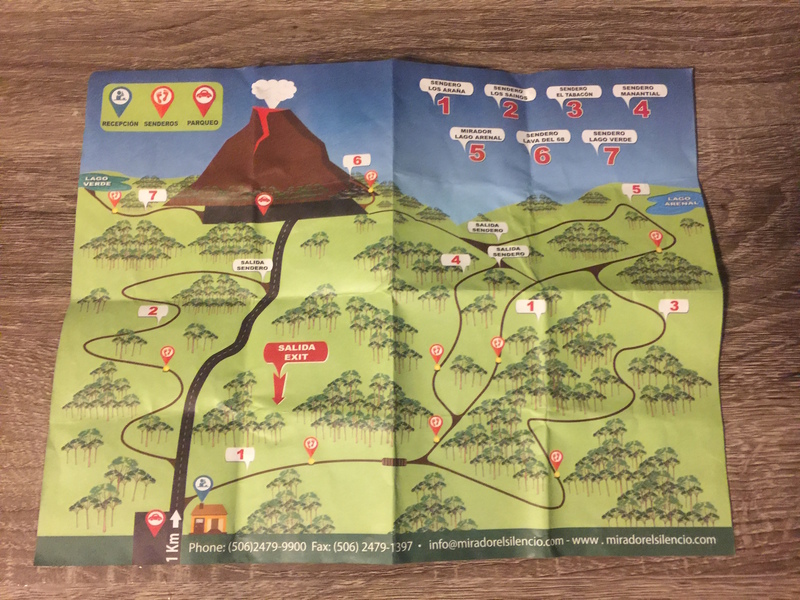 I took a trail in Mirador El Silencio, a private park on Route 142, but there are other lava trails in the Arenal National Park. 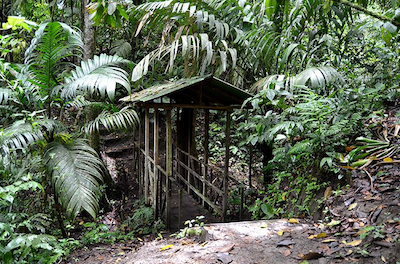 The beginning of the trail weaves through the jungle, slowly making your way up to the mountain. The second half allows you to see old lava up close and nature that is finally growing through it. Driving west from La Fortuna on Route 142 (which is completely paved) you will see a huge sign for Mirador El Silencio on your left side. The turn off is about 2 km from the large resort Tabacon and 13 km from the town of La Fortuna. Continue down the dirt road for about 2 minutes and you will reach a small parking lot and office. Tip: Personally, I traveled there (in the dry season) with a standard rental car. I didn’t rent a 4x4 because I was being cheap (extreme eye roll from me). Don’t be like me… Don’t be cheap, rent a 4x4 with 4 wheel drive. It is worth the extra peace of mind. How much does the 1968 Lava Trail cost? The 1968 Trail at Mirador El Silencio costs $8. A kind man gave me a map and explained the different trails. There are two lakes on the property and multiple view points but I chose to hike the 1968 Lava Trail. The first half of the hike winds through the jungle for about 2 km. You will cross rivers using small bridges. The paths are extremely well maintained and easy to follow. The second half of the trail offers very little tree coverage so make sure you bring water and sunscreen. It is also a hilly climb that gets continuously steeper. Once you reach the base of the volcano you will pretty much be walking up nature made lava steps. After a short climb you will reach the end of the trail with a beautiful view point. Note: There is a road from the first parking lot that will take you up the hilly jungle to a second parking lot closer to the volcano. This road bypasses about ¾ of the hike. If you just want a quick hike on the lava fields I suggest going this route. After your long hike head to the natural hot springs close by. Here is a list of the best hot springs in the area and what prices look like for each.